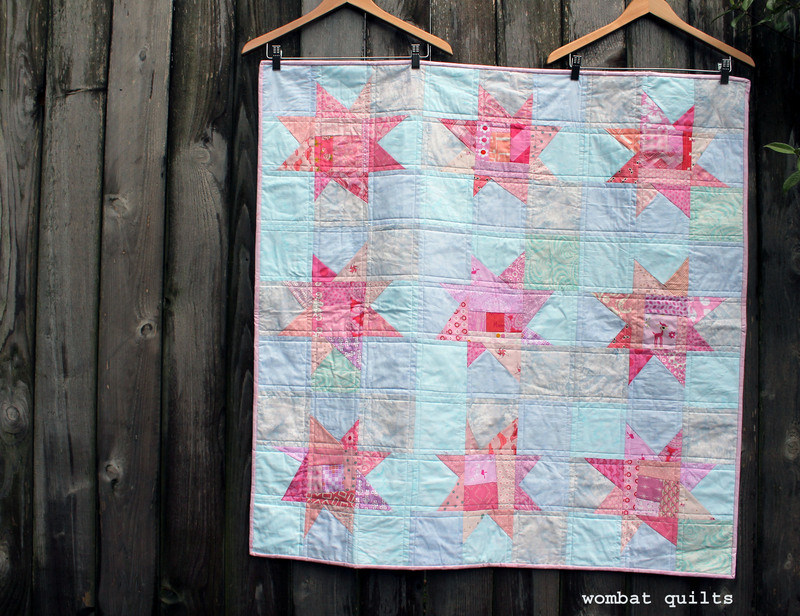 Usually when I make wonky star quilts I use 5 inch squares to make the stars , but for this quilt I used my stash of 3 inch squares and a pile of scrap pieces to make 8 inch (unfinished) stars. 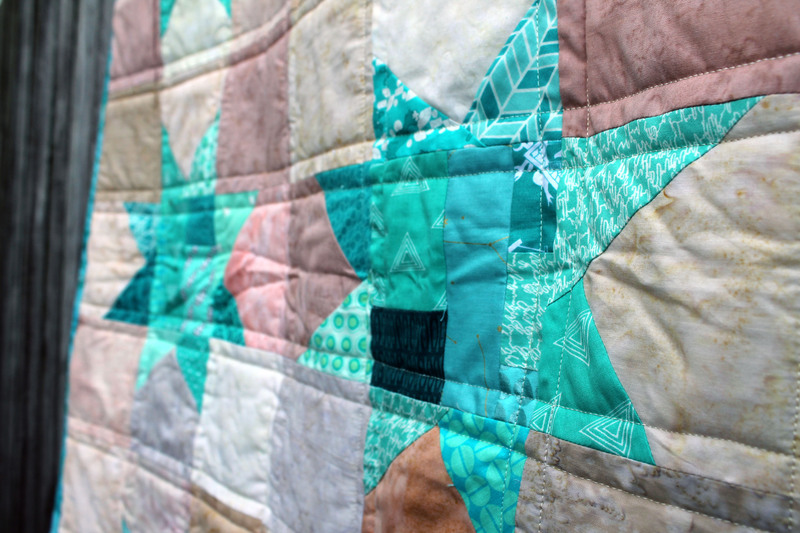 Actually these stars had been sitting in my WIP pile for a while when I dug them up and started playing… I did not want to make any more stars so instead I used a pile of low volume scraps to play with the star layout. 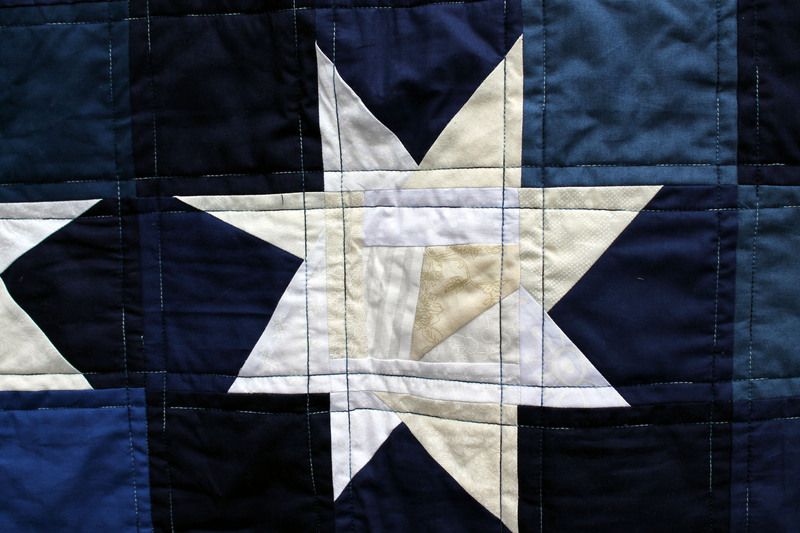 I tried to lay the stars out randomly and used filler pieces – mainly 3 inch squares, 3 x 5 1/2 inch and 3 x 8 inch strips to fill in the gaps. I wanted the background to be just as scrappy as the stars so I did not use any really big low volume pieces. The scrappy background also gave me more opportunities for fussy cutting, allowing me to cram in even more novelty prints (have you spotted the squirrels yet!). 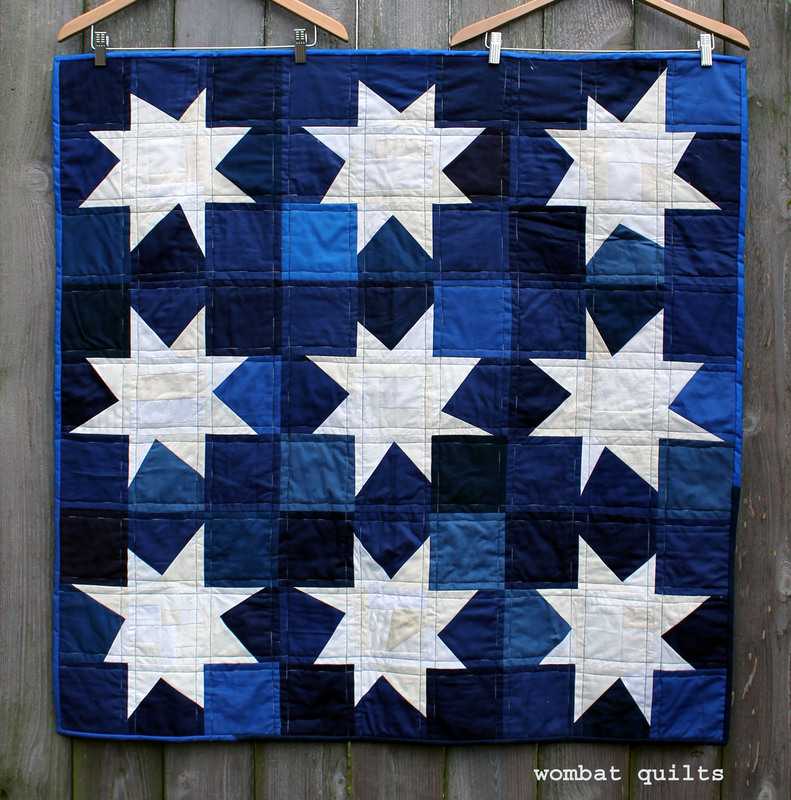 My binding choice was a little different from usual with this quilt too… I went with low volume soft colours to frame the quilt instead of my usual wonky star binding – navy blue or scrappy brights. 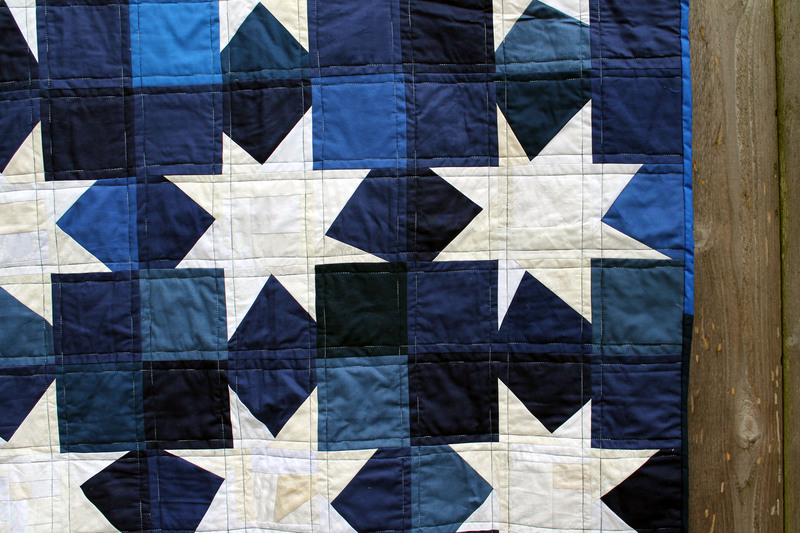 I liked how this choice lets the stars jump off the quilt instead of containing them inside a frame. 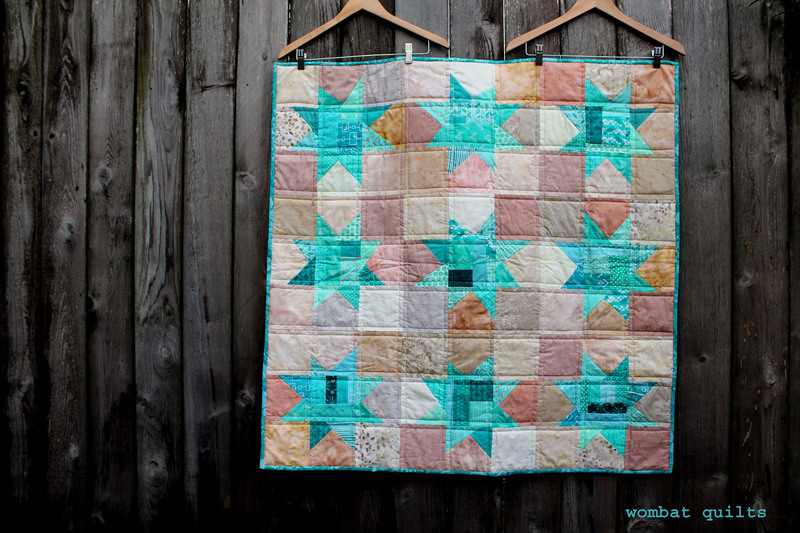 The wonderful free motion quilting on this piece was done by my friend Michelle of Mariposa Quilting. 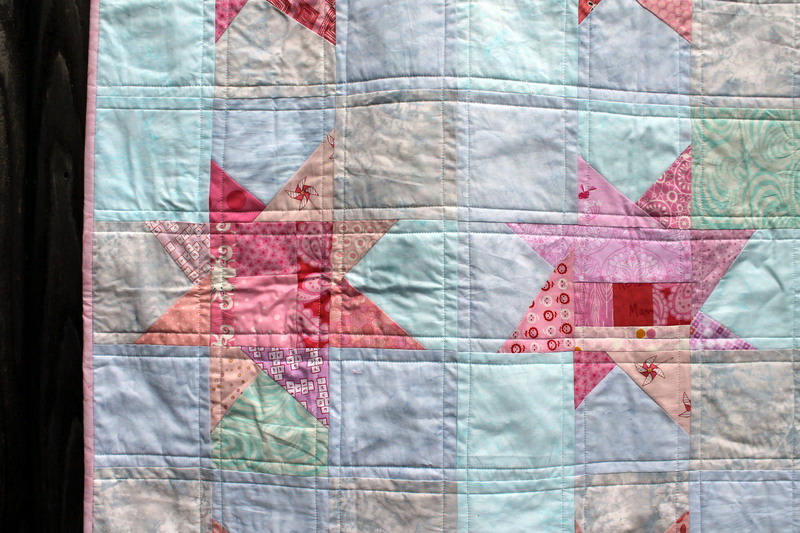 I was so pleased this quilt was not ruined by my clumsy straight line quilting. 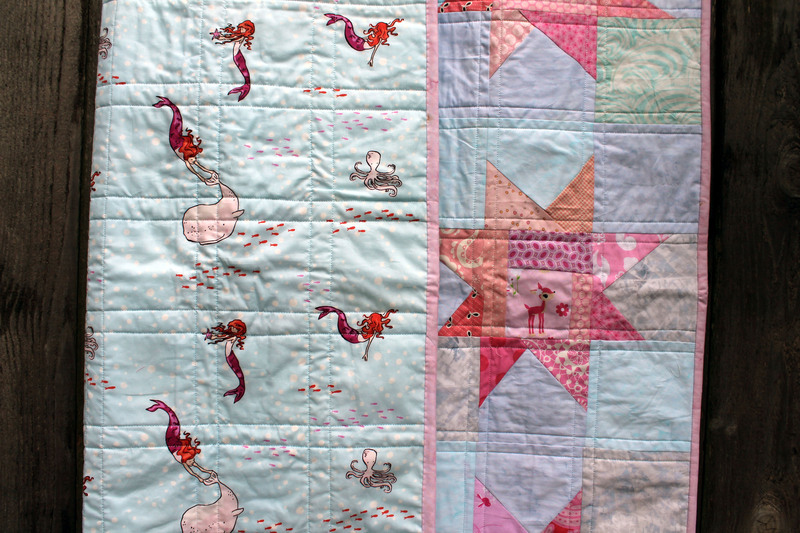 Once washed this quilt will head off to the our local Pediatric Intensive Care unit where it will hopefully be used for a couple of good games of I Spy….